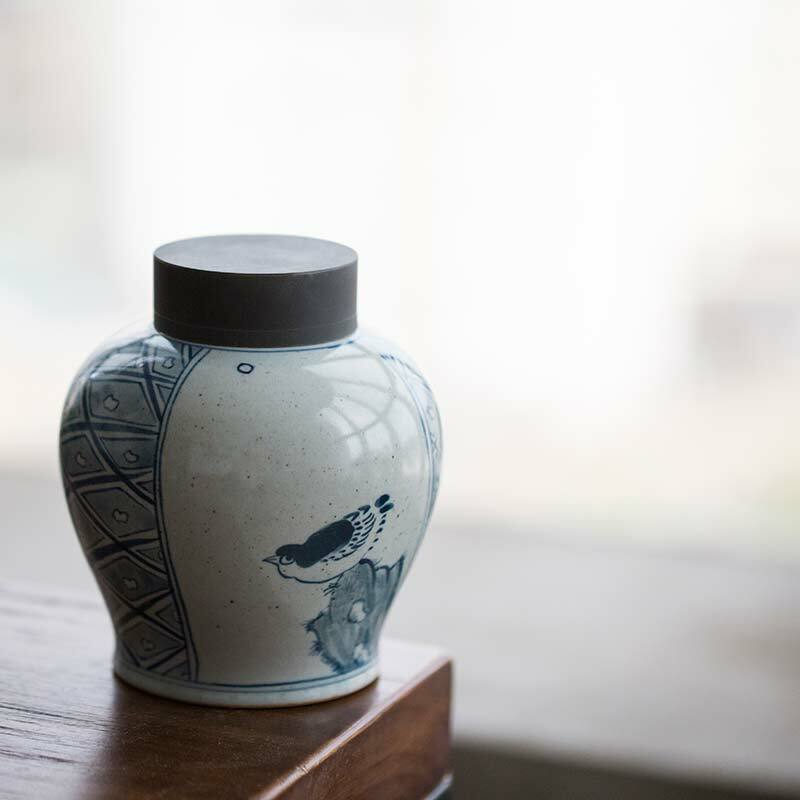 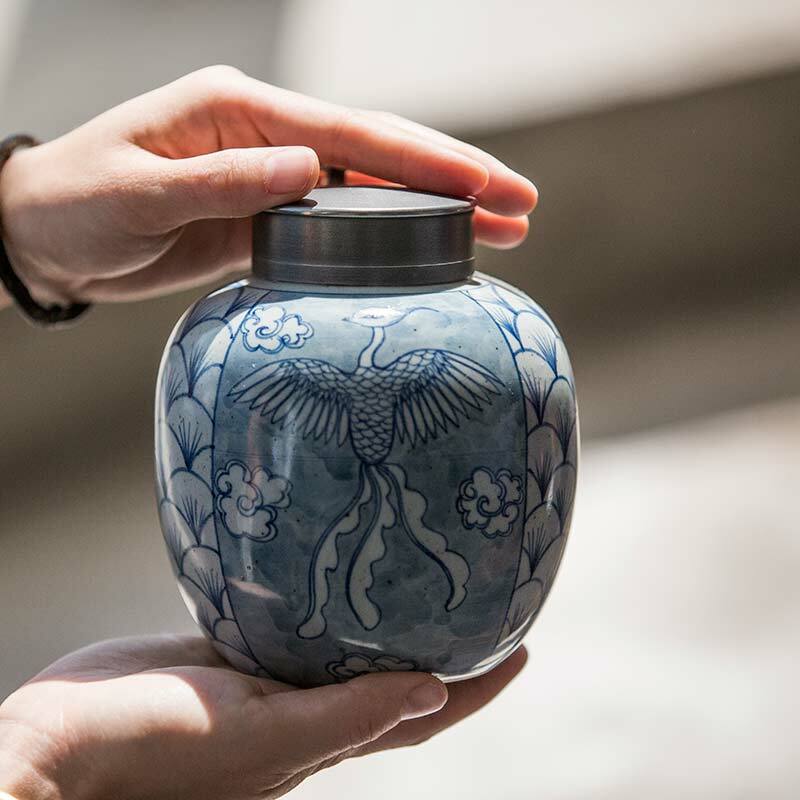 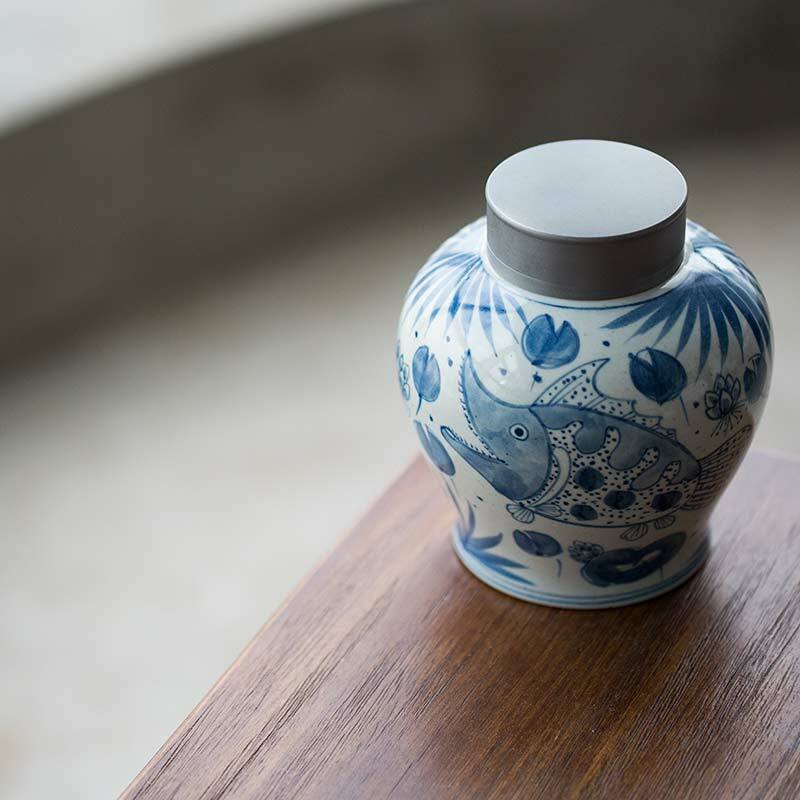 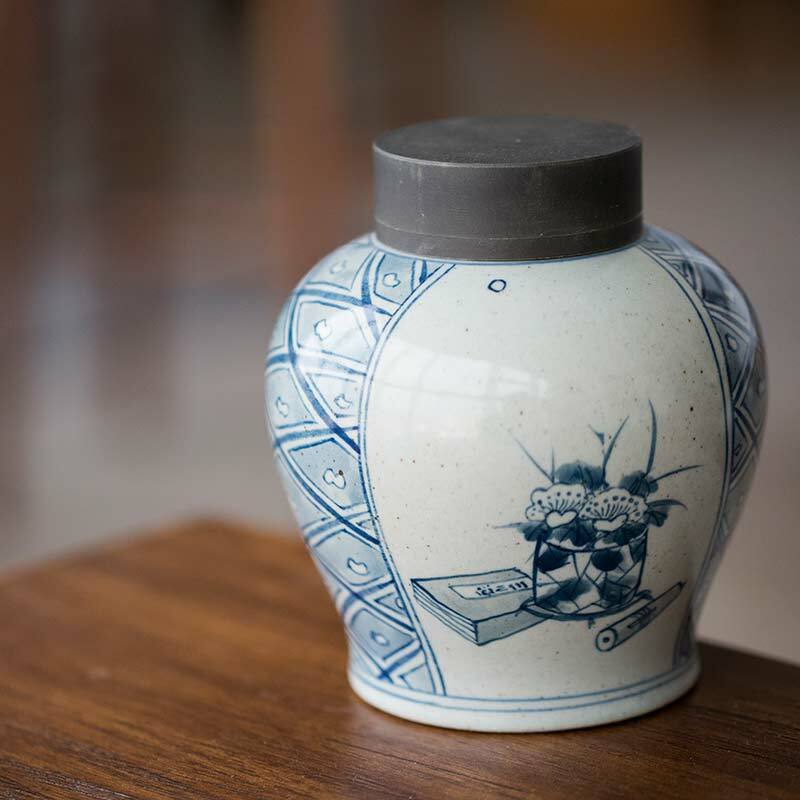 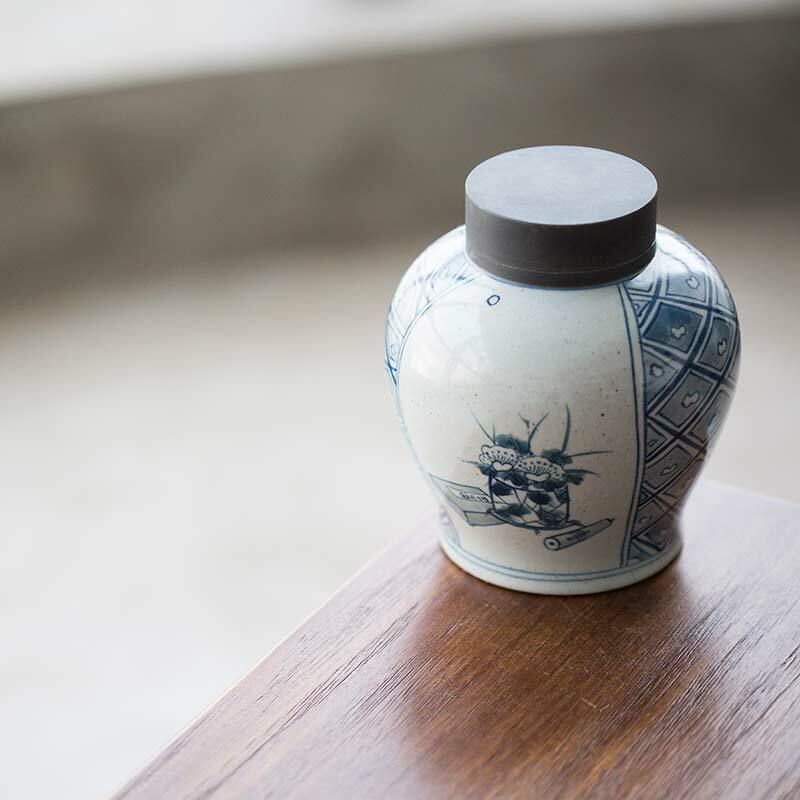 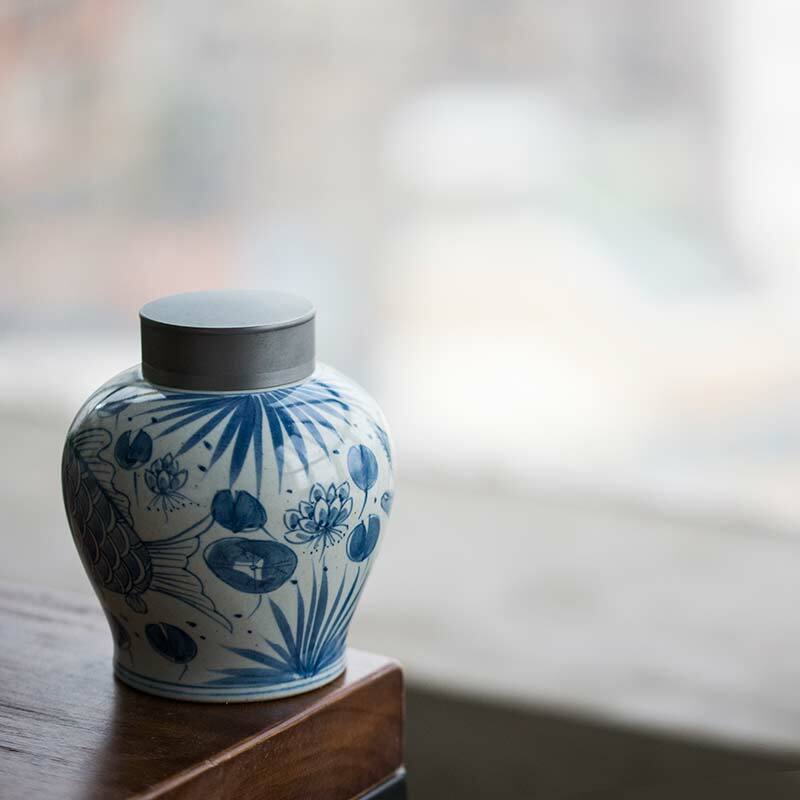 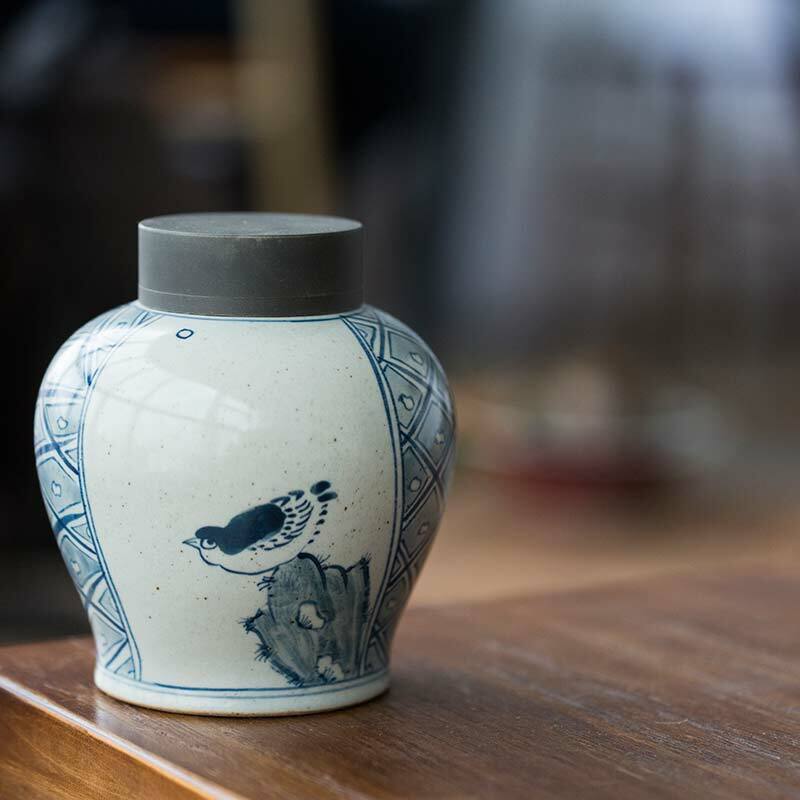 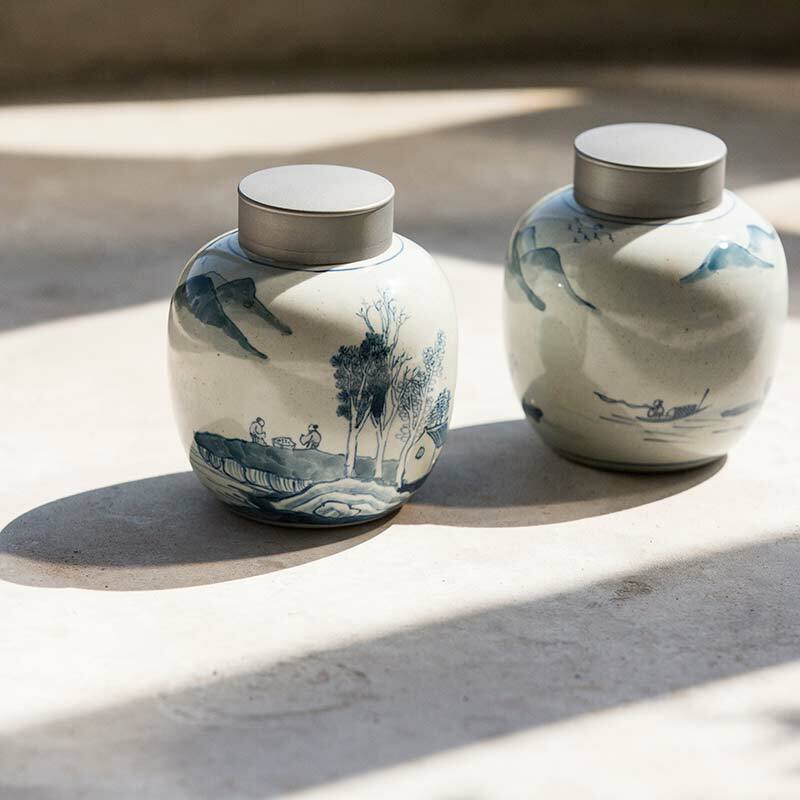 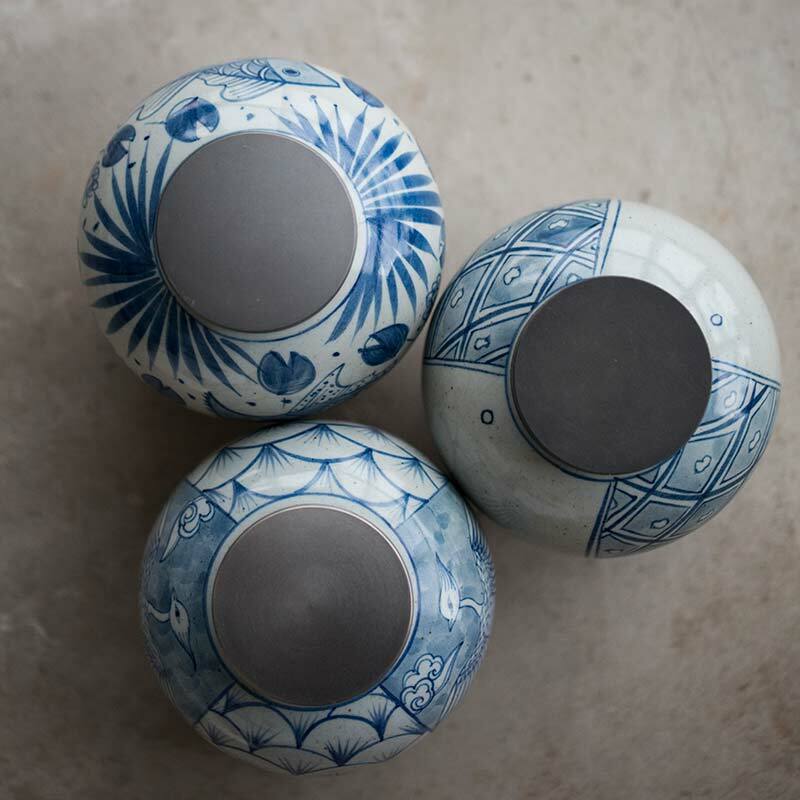 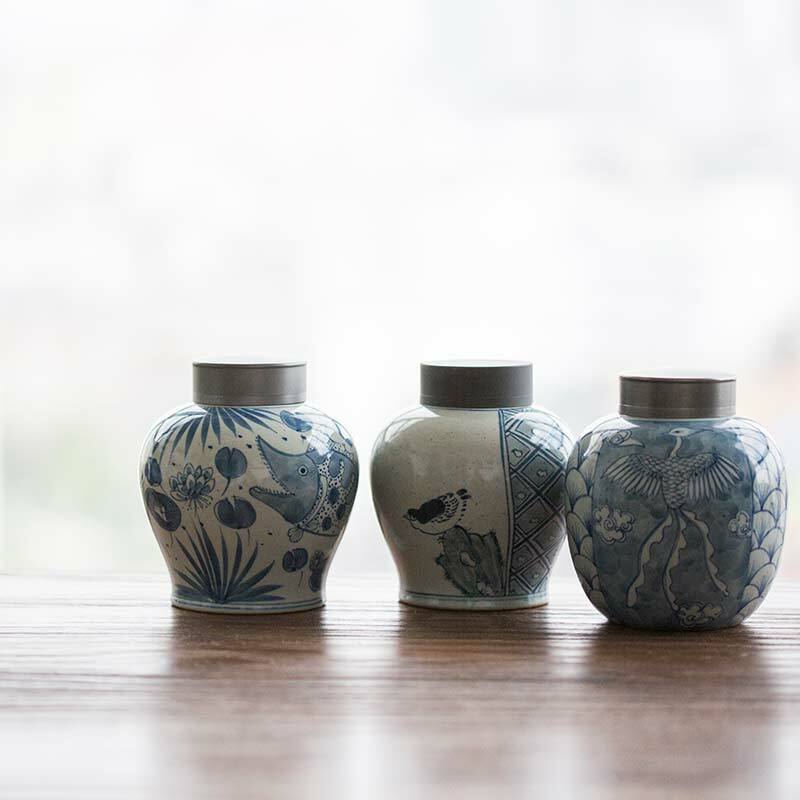 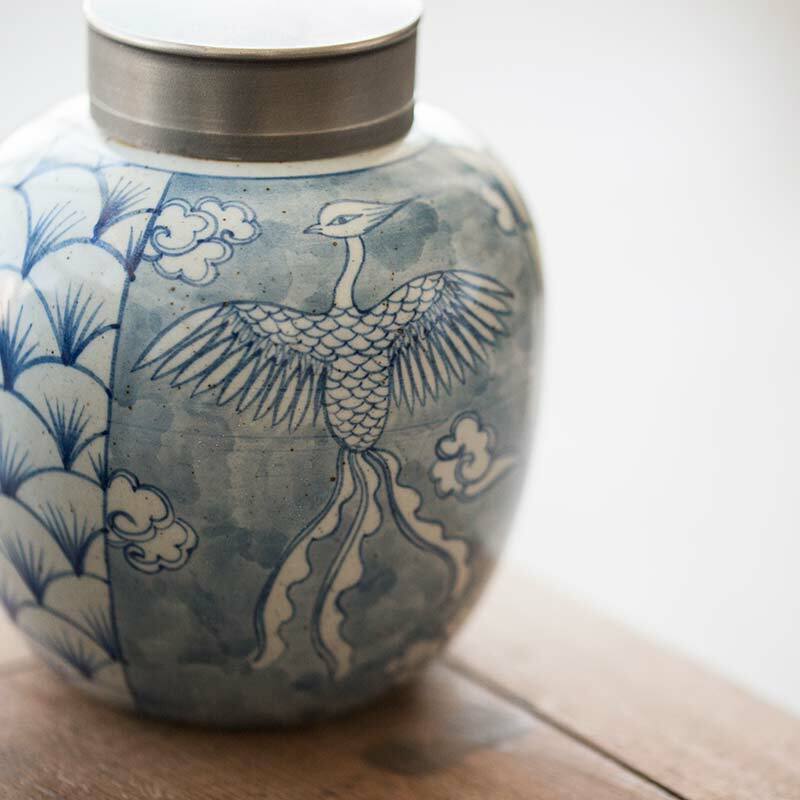 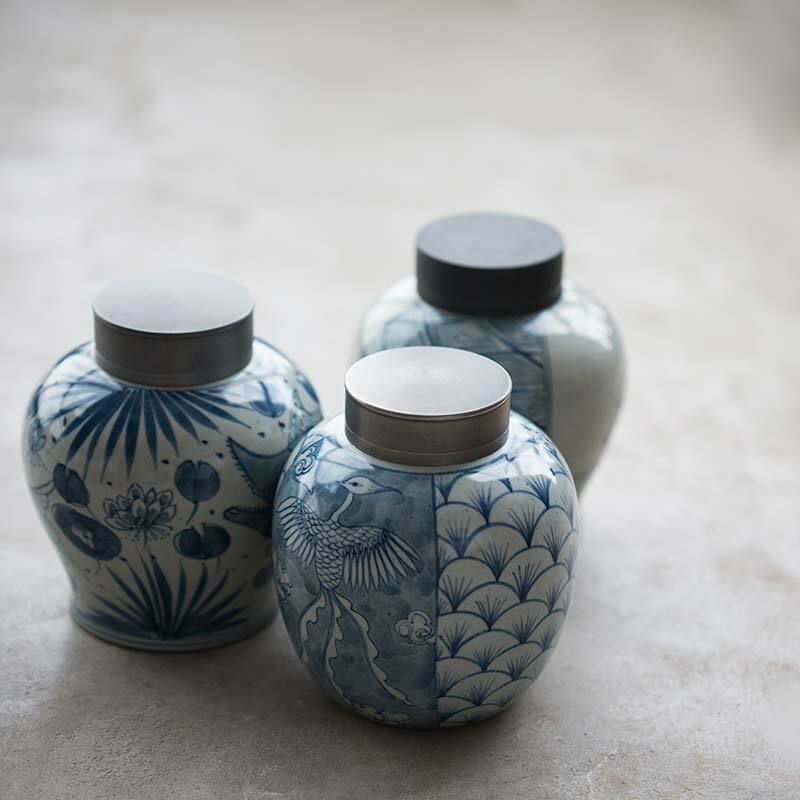 These clay tea jars feature a qinghua painted and glazed exterior and unglazed interior. 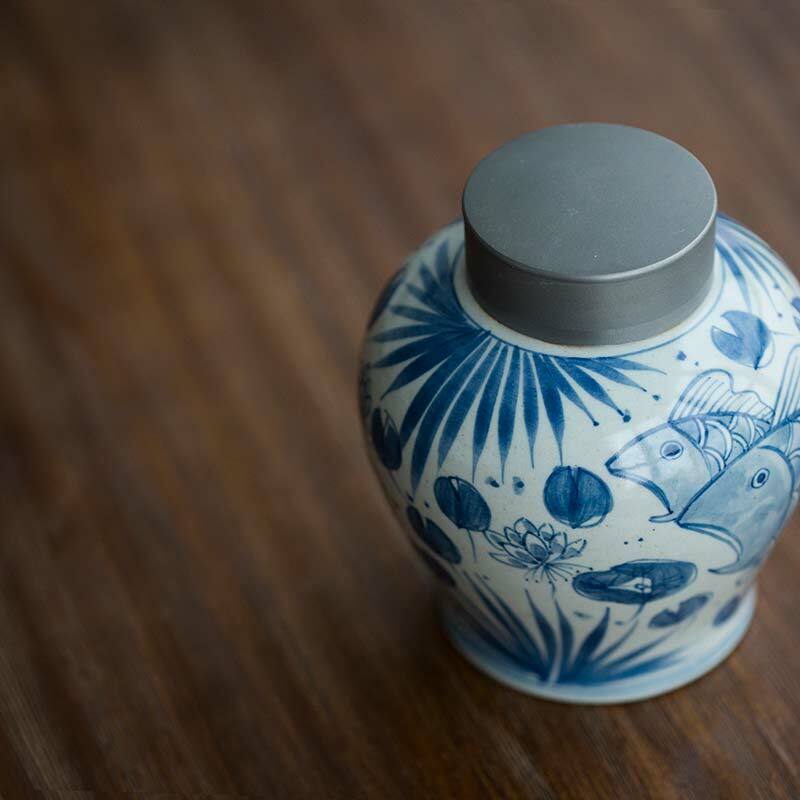 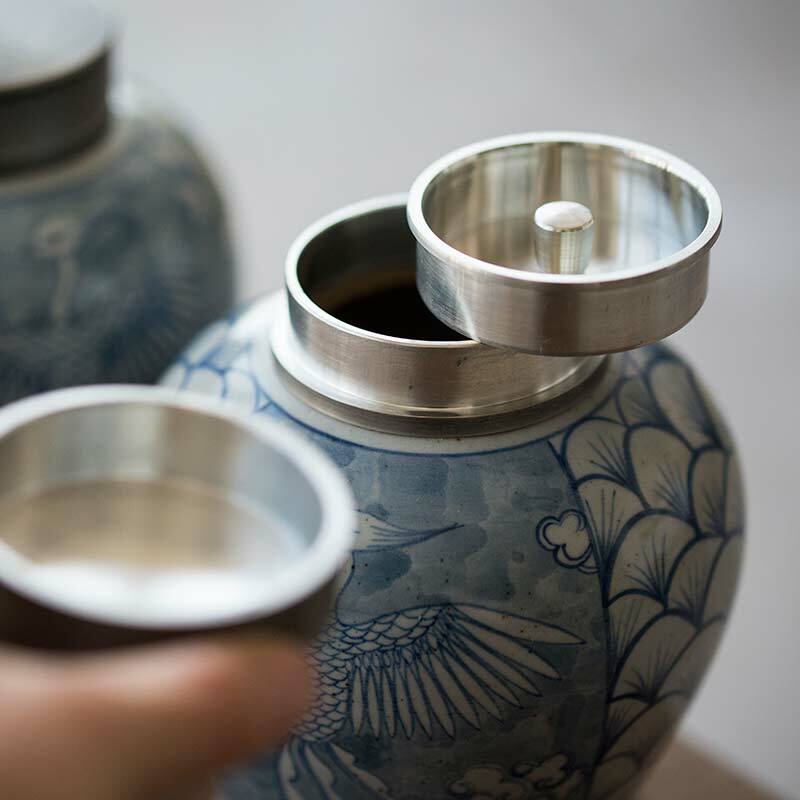 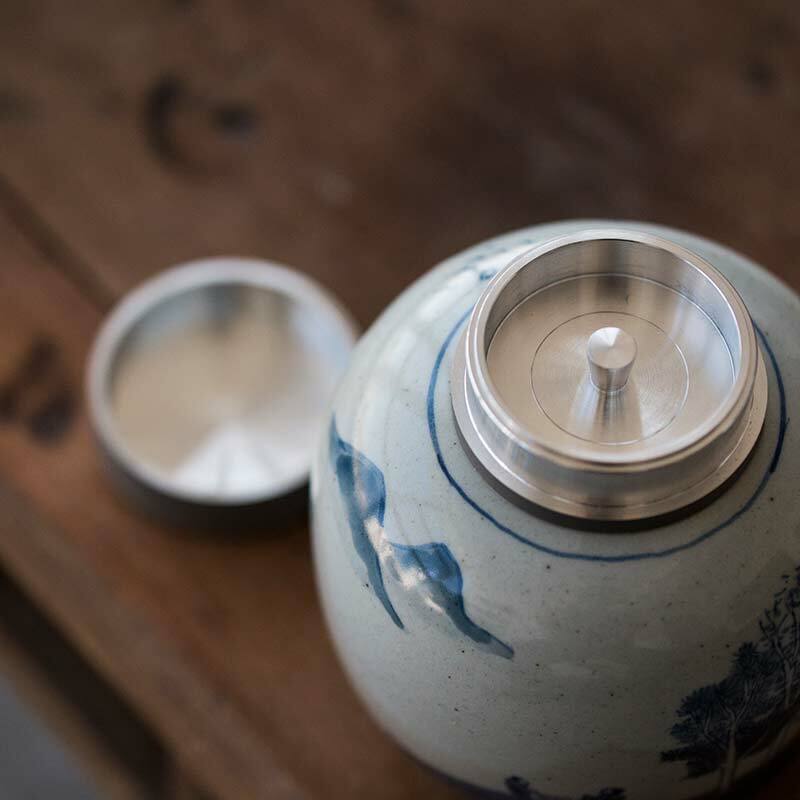 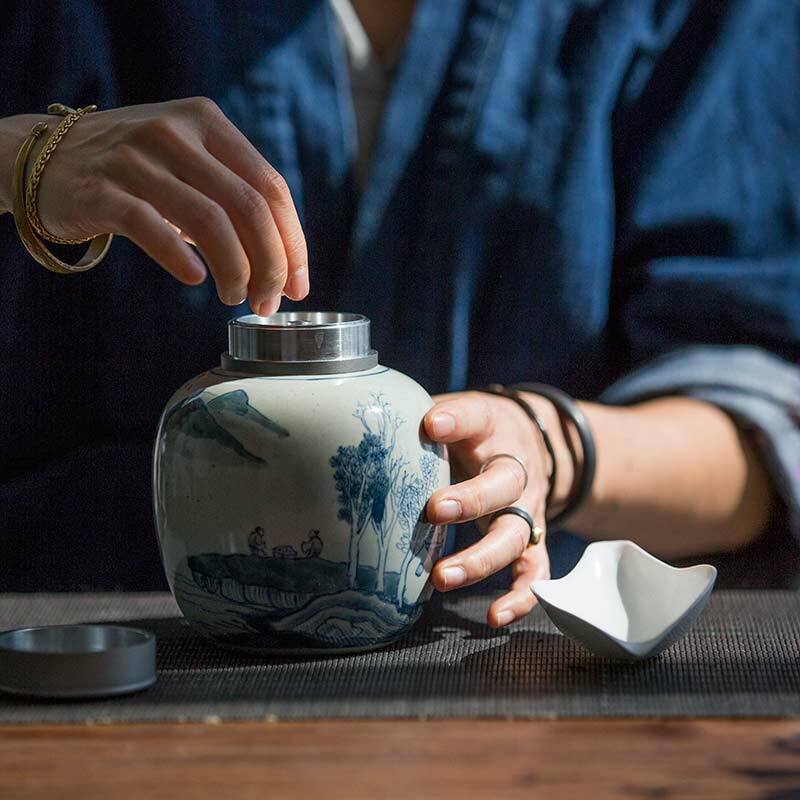 The 2 pieces brushed metal lid creates a tight seal, making these jars suitable any fragrant loose teas in your collection. 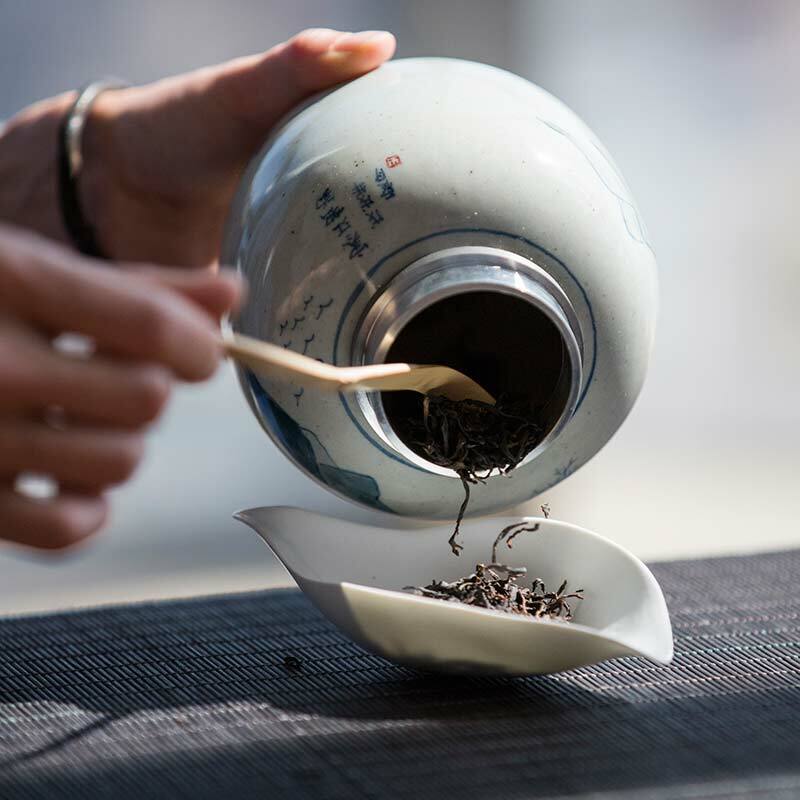 Each tea jar holds approximately 750ml of liquid. 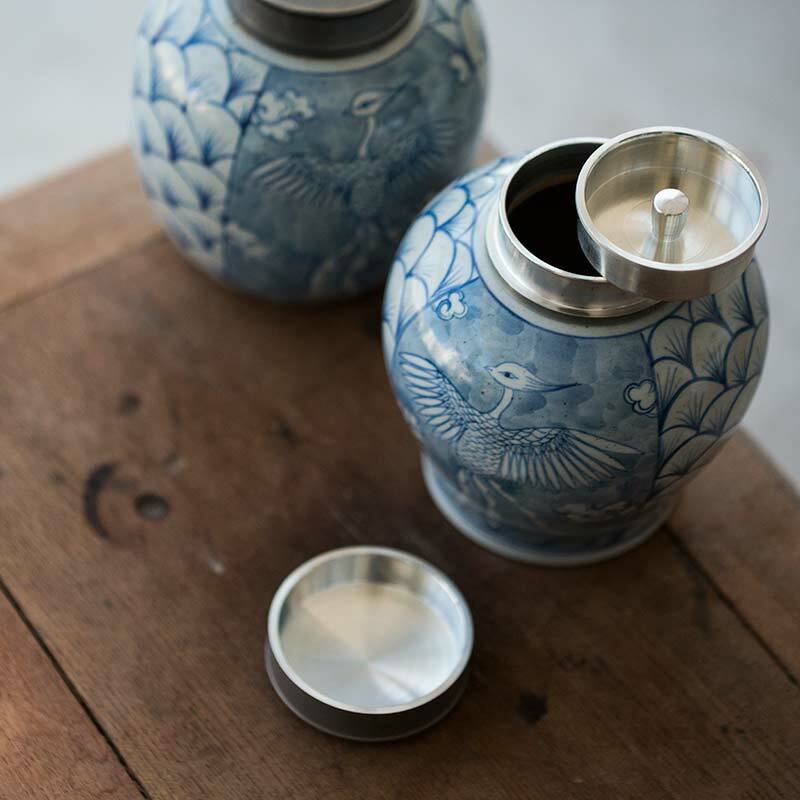 Actual capacity may vary as these are handmade pieces.